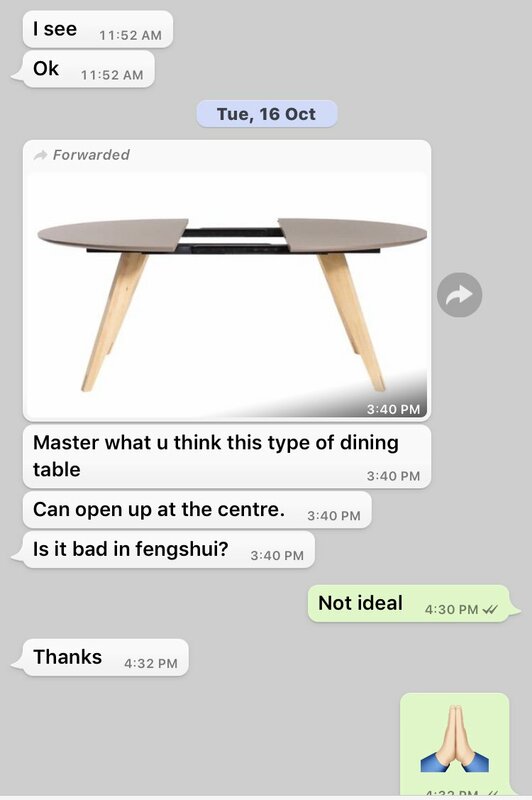 Master what u think this type of dining table? Can open up at the centre. Question: Is this bad Feng Shui? 1. Under symbolism in Feng Shui, less than ideal to have a split directly at the middle. 2. This is similar to have a two piece mirror splitting the dining table into two. Thus can be considered to be inauspicious. 3. Common sense: A table such as this which has a split, may cause food to be caught in the GAP. And for hygiene purposes, may allow bacterial or germ to flourish.